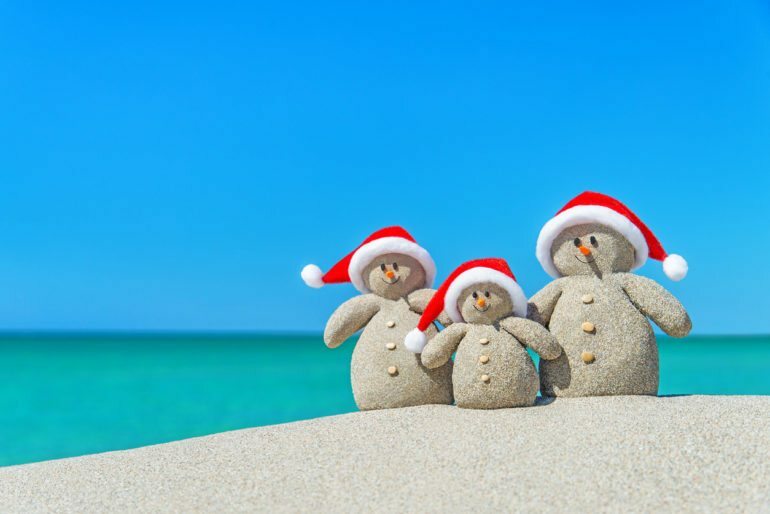 Christmas is for spending time with loved ones, and if you’re lucky enough to be on the Gold Coast this festive season you’ll be delighted to hear there’s plenty around for kids. These are our top activities for a family-friendly Christmas in 2017. Does Santa like to surf? He certainly does dudes, because he can be found hanging out in Surfers Paradise throughout December. Make your way to Cavill Mall and have a free picture taken with Santa on his distinctive surfboat sleigh, complete with his six surfing kangaroos. It’s easily one of the best things to do on the Gold Coast with kids around Christmas time. You can’t have a Gold Coast Christmas without a few visits to theme parks! Get double the fun by booking tickets for White Christmas at Movie World, where you’ll encounter beautiful Christmas fairies, festive storytelling, awkward family photo sessions and an amazing nightly street parade with falling snow. Plus of course, access to plenty of thrilling rides! If you’re staying in Broadbeach you’ll be close for the Broadbeach Christmas Carols with fireworks on Saturday 9 December, and the weekend after there’s the Southport Yacht Club Carols with live music. Out of town these weekends? That’s OK, because you can catch Carols on the Beach on Saturday 23 December. This annual event provides a colourful whirlwind of music and dancing from 6:30pm with a burst of fireworks at 8pm to wrap up this beautiful family evening. If you’re unsure of where to stay on the Gold Coast with kids, may we suggest a solution that will keep everyone happy this Christmas? A 2 or 3 bedroom suite in Broadbeach or Southport places you close to attractions and events. Parents will be delighted with the sumptuous styling, free WiFi and full kitchen and laundry, while kids and teens will love the stellar views and Foxtel channels.